Peel off the mango skin with knife and then pressure cook the unripe mango, let it cool completely. Chop the pulp with the help of blender and make it soft. Add cumin powder, salt, black pepper powder and Sugar. Blend mixture to a smooth puree by adding adequate amount of water to it and refrigerate before serving. Raw mangoes (Kachi Keri) are perfect to protect you from sun-strokes. Make this drink early time and keep it refrigerated. 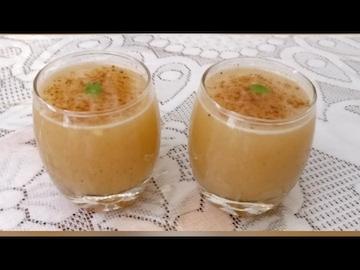 Whenever you come home from outside heat, have a glass of Keri no Baflo to make you feel refreshing.